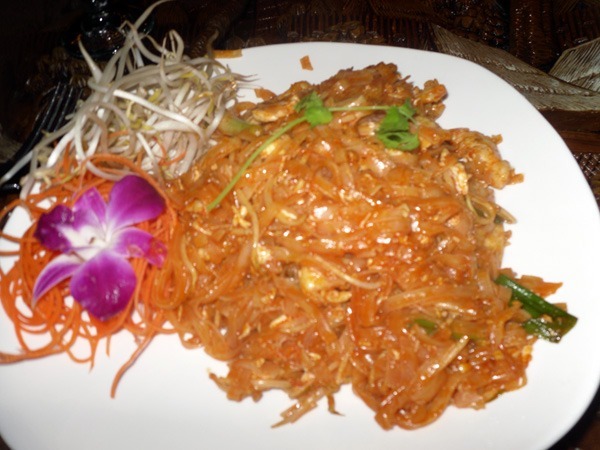 I ordered takeout from the relatively new Lemon Grass Thai Kitchen in Riverview. When the Great Recession hit business almost hit a halt in this area. It is nice to see the area growing again now that the economy is in recovery. Normally I am a little cautious to order Thai takeout because my history with it has been pretty awful. Normally my Pad Thai is dry and sauceless by the time it gets home. I am happy to say that this was not the case with Lemon Grass! The Chicken Pad Thai tasted as fresh as if I was in the restaurant for dinner and it was priced reasonably as well at around $10 if I remember correctly. The color of the noodles shows there was plenty of sauce and there was plenty of chicken mixed in. They were also quite generous with the noodles, normally unheard of in my past with Thai takeout orders. 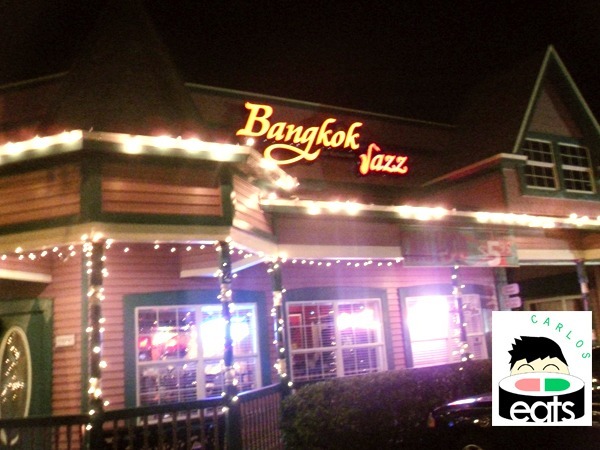 Bangkok Jazz is a restaurant that I passed on my way to school maybe 600 times or more in the time that I’ve been a university student in Tampa. The Victorian-style building always caught my eye, but before I could read the sign I would already be passing 56th street and speeding away. Bangkok Jazz’s choice of location may not be the best spot, they are more or less not visible to drivers who are passing by, but the venue itself is a beautiful and unique setup for Thai restaurant. The outside has a picnic table and is surrounded by Victorian-style architecture, perfect for an outdoor lunch date during a beautiful sunny day. Inside, the restaurant has your typical Thai setup on the left side of the restaurant with lavish gold decorations. The right side of the restaurant is where the restaurant is unique. The stage for local jazz performers is surrounded by red walls and a bar. The tables are made of fine wood and the overall feeling of the room is romantic. Although, I wasn’t able to see a live performer during my visit I did see the stage and watched them practicing. It looked like restaurant diners were in a for a treat. 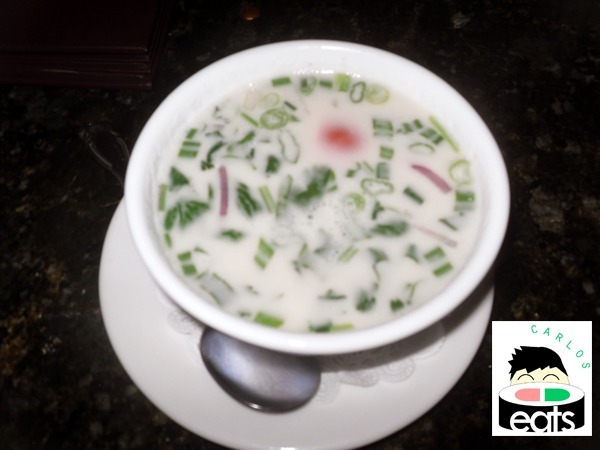 For an appetizer I decided to order their Cococnut Chicken Soup ($2.95). It was savory, but also not the best I have had in terms of flavor of the broth. I enjoyed the ingredients inside which really brought it some zest with the exception of the mushrooms they used…which I really didn’t care for. It was pretty big bowl for the price so quite a good deal. The Chicken Pad Thai ($9.95) came out quickly. Probably not even 10 minutes after ordering. The Pad Thai looked much darker than the Pad Thai I have had at any other Thai place in Tampa. There was plenty of sauce and flavor to it and it was large. The chicken was great, probably some of the best I had in a Pad Thai. They used lots of vegetables, plenty of peppers, bean sprouts, and scallions. The waiter was satisfactory, but he had a slight language barrier. Overall, Bangkok Jazz was a good experience. I want to return for lunch and try sitting outside, lunch prices here are pretty cheap ($5.95). 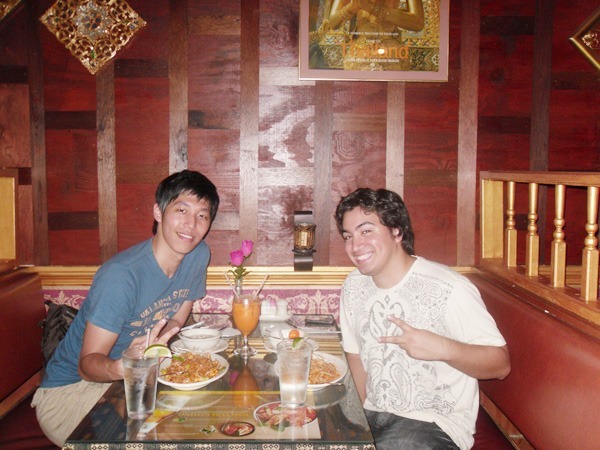 I took a new friend Yong Hoon to try Thai food for his first time this past week at Sawatdee, a USF-area restaurant located only a short drive down from the university down on 56th Street. 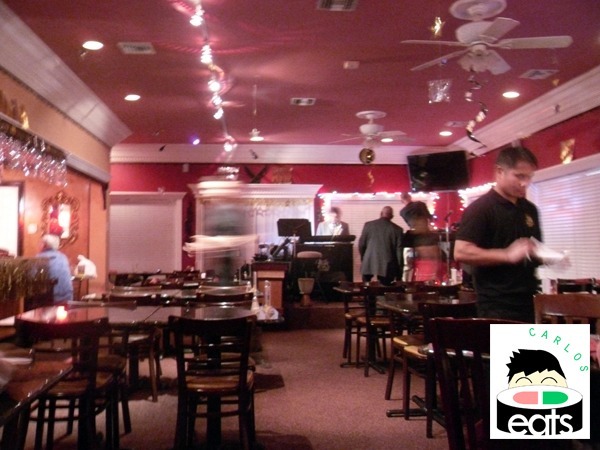 The ambiance is similar to many small Thai restaurants: decorated lavishly, quiet, and a nice place to have a conversation with a friend or two. Lunch specials there come with three courses: soup, entree, and dessert. 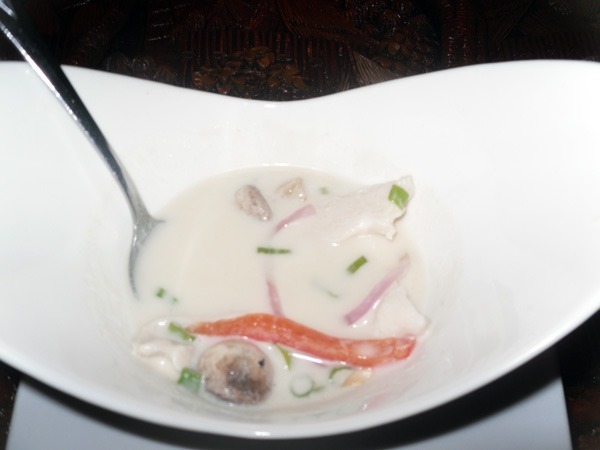 The chicken vegetable soup was satisfying, but lacked any real substance to it…something to just pass the time. We both ordered Chicken Pad Thai (only $6.95 for lunch) with my friend ordering a spicy version of the entree. I also ordered a Thai Tea because my friend has never had one and that is something I think everyone should experience at least once. 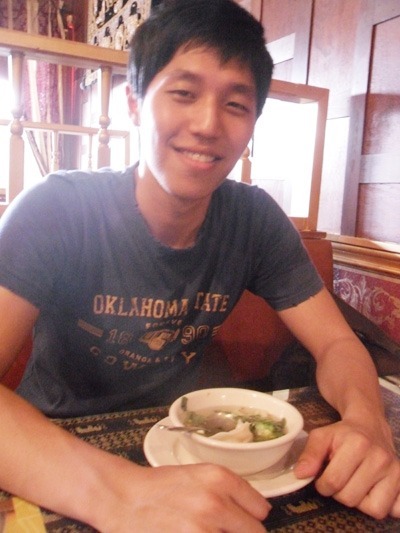 Yong Hoon trying Thai food for the first time. 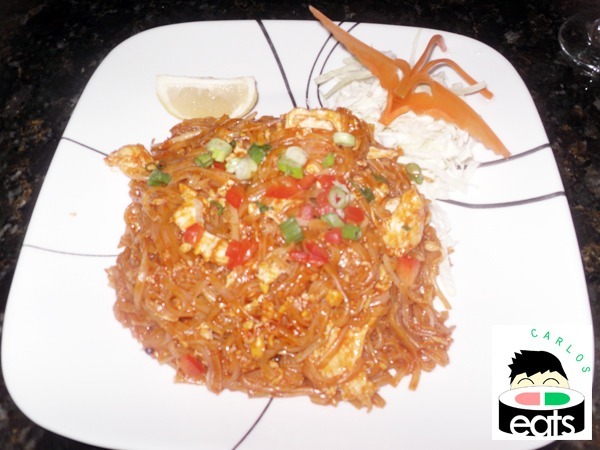 Chicken Pad Thai…just looking at this picture makes me hungry. The orders came out quick and although they accidentally gave me a mildly spicy version of Pad Thai, the waitress quickly resolved the issue when I brought the matter to her attention. I have to say that a spicy and non-spicy Pad Thai are almost completely different meals even though it has most of the same ingredients. 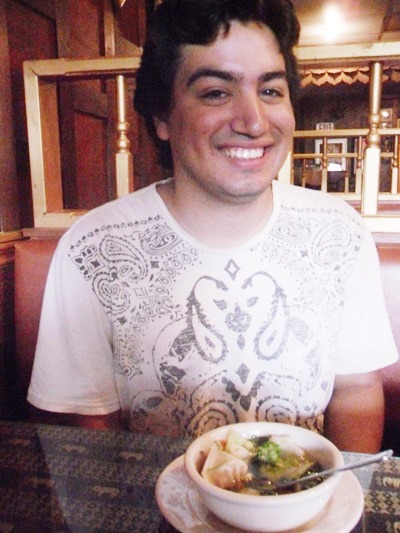 My friend and I both enjoyed our meals, the noodles were filling and there was a nice balance in extra ingredients added in, it wasn’t overdone like in some other restaurants. The small free dessert they pass out to end the meals gives the meal a nice ending and they have a rewards card for customers who pay in cash. 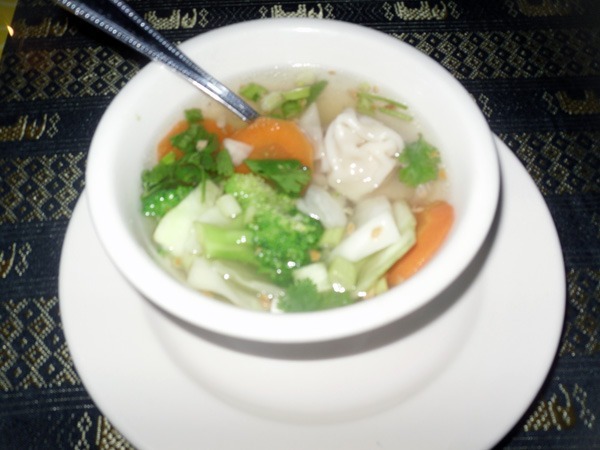 Jasmine Thai in Brandon is a totally different experience from Jasmine Thai on Dale Mabry. I don’t think the places even have the same owner because the Brandon location has its own website. The Brandon location happens to be one of my favorite Thai places in town. Service is always prompt and food has always been excellent on all my visits. The restaurant has a very quiet atmosphere, even answering your cell phone feels like an unwritten taboo. I probably wouldn’t take many friends, but instead choose this place for a date or for a single visit. Usually the place is not too packed and getting a seat is not too hard. During lunch they have a three course meal where you get soup, your entree, and some dessert for under $10. For Dinner prices go up a few dollars, but for the most part the meal stays under $10. I normally run the bill up a little higher because I love their Chicken Coconut Soup ($2.95) and it is quite hard to resist it. Their Thai Tea is also of good quality, but because of the price of Thai Tea at restaurants ($1.95 here) I usually save my Thai Tea cravings for visits to The Wat Thai Temple on Sundays ($1 Thai Tea). 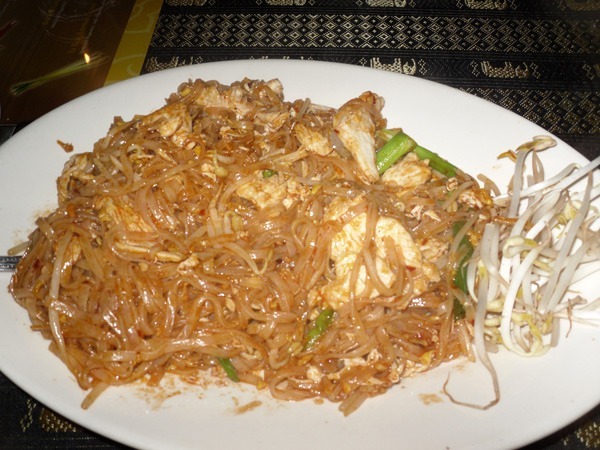 Their Chicken Pad Thai ($9.95) is almost always perfect and they give you a large portion as well. I never leave this place hungry. They also handle to-go orders well and quality is not effected if you are in rush and can’t dine-in. They have a handful of desserts and my favorite choices are Coconut Ice Cream, Crunchy Banana Coins, and Jasmine’s Banana (Banana Coins with Coconut Ice Cream).